The federal government reported that 11.4 million people selected a health plan through the Affordable Care Act exchanges during the most recent open-enrollment period for coverage in 2019—the first year in which there is no penalty for not buying health insurance. Across all states, enrollment slid by about 300,000 people, or 2.6%, from 2018. That decrease was driven by lower enrollment in the 39 states that use the federally operated marketplace known as HealthCare.gov. Enrollment in the 12 states running their own exchanges ticked up by almost 1%. "There is a growing divide between states running their own insurance exchanges and those relying on the federal government," said Larry Levitt, a senior vice president at the Kaiser Family Foundation who tracks enrollment in the exchanges. "It's hard to tease out exactly why, but one big difference is that the states have not reduced outreach so significantly like the federal government." That data released by the CMS on Monday is part of its final comprehensive report detailing ACA exchange enrollment and premiums in all states. It follows a report from January that included data only from HealthCare.gov states. The trends generally remain the same: Enrollment decreased across most states, though not by as much as some had predicted at the start of open enrollment in November 2018. Enrollment in HealthCare.gov states fell by 3.8% on average to 8.4 million, while enrollment in states operating their own exchanges rose by about 26,000 to a little more than 3 million. CMS Administrator Seema Verma tweeted that the report shows "steady enrollment through (the) exchanges, confirming another successful enrollment period at a time when premiums are stabilizing after years of substantial increases." While it's hard to pinpoint exactly what drove the lower overall enrollment, observers have said it's a combination of the lack of a financial penalty for forgoing insurance and reduced federal funding for advertising and enrollment support. Congress passed legislation to zero out the penalty starting this year, and the Trump administration slashed funding for outreach and grants for navigators who help people enroll in coverage. States with their own exchanges did not reduce funds for outreach, and some ramped up efforts, which may be one reason why enrollment in state-based exchanges remained virtually flat on average. Many of them also maintained longer enrollment periods when the Trump administration halved the HealthCare.gov enrollment period to 45 days from 90 days in 2017. Still, it's important to note that state-based exchanges were not immune to national policy changes: Enrollment in six of those states and D.C. decreased. At least one HealthCare.gov state has noted the success of state-based exchanges and is hoping for a similar result. New Jersey Gov. 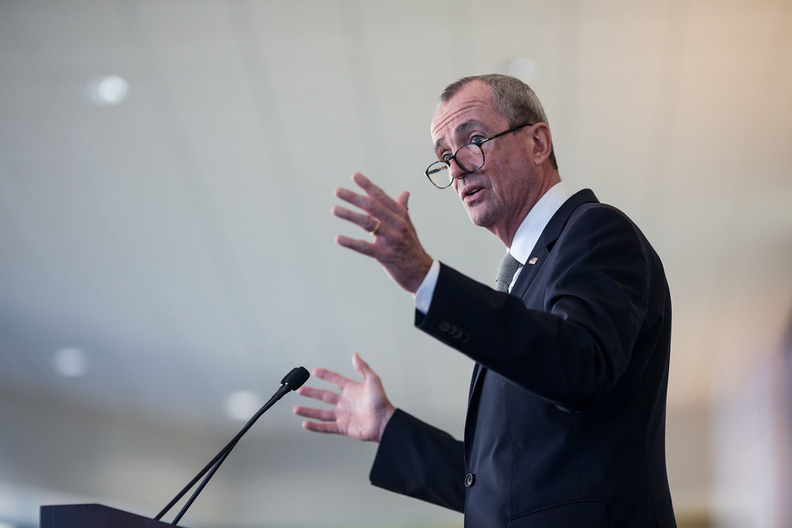 Phil Murphy last week announced the state intends to move to a state-based health exchange for 2021 to "further protect New Jersey from actions taken by the Trump Administration to roll back the hard-fought protections afforded by the ACA." The Trump administration also expanded access to short-term and association health plans, which may have lured some customers away from the exchanges. Those plans are cheaper than exchange coverage but also don't have as many benefits or protections. Beyond that, the economy is also stronger, and people who previously enrolled in exchange coverage may have gotten coverage through their jobs, which may have contributed to the lower total enrollment tally. And in Virginia, where enrollment fell 18%, many people likely enrolled in Medicaid after the state expanded the program this year. Meanwhile, the CMS data also showed that average monthly premiums across HealthCare.gov states dipped slightly from 1.5% to $612, while premiums in state-based exchanges increased 2.4% to $543 on average, excluding Idaho because the CMS omitted its 2019 premium data. But for those HealthCare.gov customers who received a premium tax credit, the average monthly premium was reduced to $87. People with incomes too high to qualify for federal assistance are on the hook for the full cost of the premium. "Premiums in the exchanges are stable, and insurers are finally earning a profit on this business," Levitt said. "But, the premiums are very high, placing a big financial burden on middle-class people not eligible for federal subsidies. That's going to be difficult to sustain."